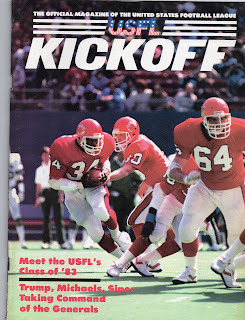 Kickoff Magazine was the official magazine of the United States Football League, and was sold at the various stadiums of the league during games. 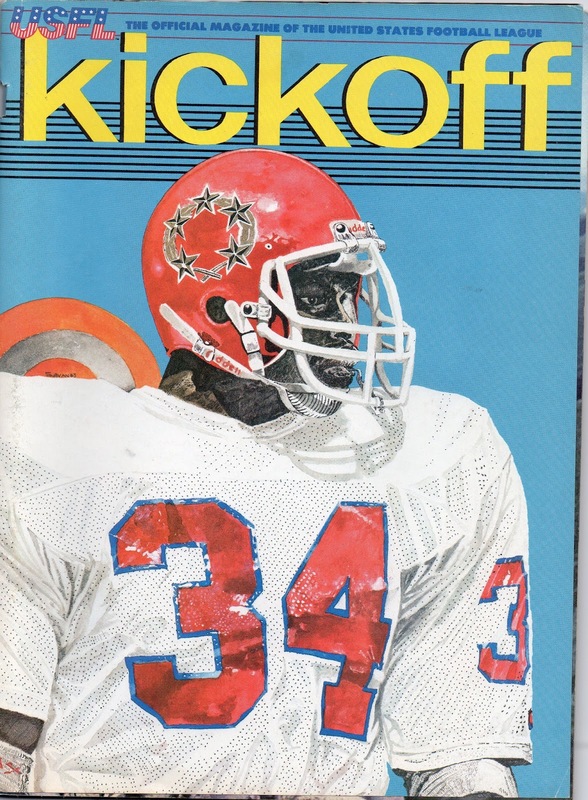 From what I could garner, Herschel Walker appeared on the cover of the magazine three times. 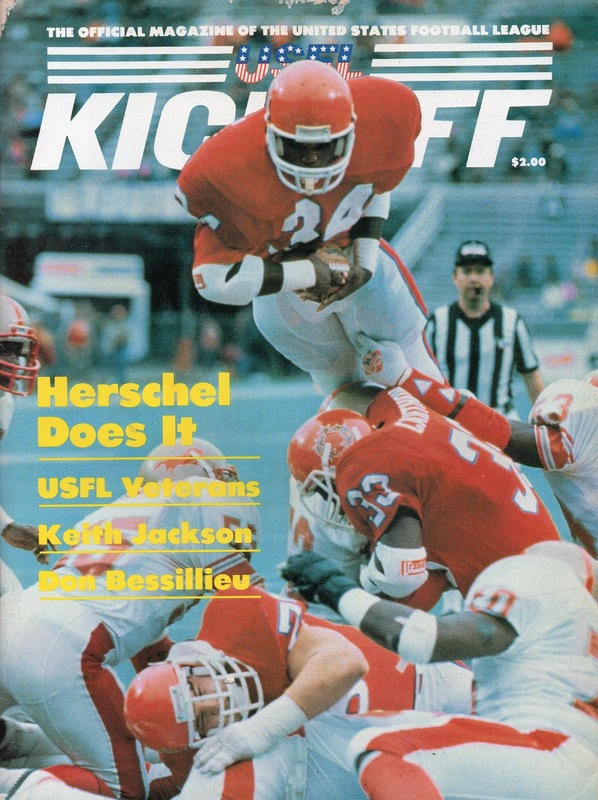 The top issue is from the inaugural 1983 season, the second is from year two, in 1984, and features the top players from the first season, Herschel being one of them. Finally, the third issue is from the final season in 1985. Originally I thought that the "Herschel Does It", shown on the cover, was in reference to his setting the all time season pro football rushing record that year, but in actuality, it refers to him setting a new single game rushing record of 233 yards against the Houston Gamblers on April 7th, 1985. Herschel also set another league record that day for the longest run from scrimmage on an 88 yard scamper.